Atomic Games, the developer behind Six Days in Fallujah, have been forced to cut their development staff due to a lack of funding for the controversial game. It's been a bumpy ride for Atomic. In May they had a high-profile title in development and a publishing agreement with Konami. 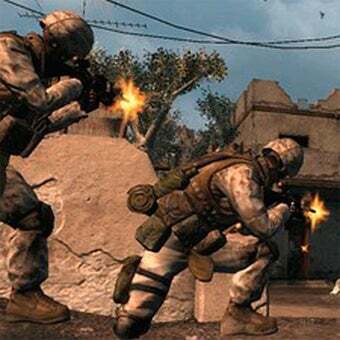 Unfortunately the backlash caused by the sensitive subject matter of Six Days in Fallujah, a title that would replicate a real-world battle only a few years in the past, caused Konami to pull its support. Development on the project continues, but without major funding, cuts had to be made. Due to a mixture of fears about the edgy subject matter of Six Days in Fallujah, as well as low videogame sales this summer, we have been unable to secure full-scale funding from a major publisher for Six Days in Fallujah. This has caused us to reduce the size of our studio today. In the words of Marine officer Chesty Puller, "We're surrounded. That simplifies the problem." Development at Atomic will continue with a smaller team that will be funded by our sister company, Destineer. Atomic Games employed 75 people up until this week. Their official announcement does not mention specifically how many were let go, but we suspect the number to be rather substantial. We're contacting the company to see if any further information is available. Update: We contacted Atomic Games directly, but the company was not prepared to share details on the extent of the layoffs, the number of employees affected, or how the layoffs will factor in to the ultimate fate of Six Days in Fallujah. We were told that more information will be released at a later date.